Daring Cooks time, my monthly international challenge. 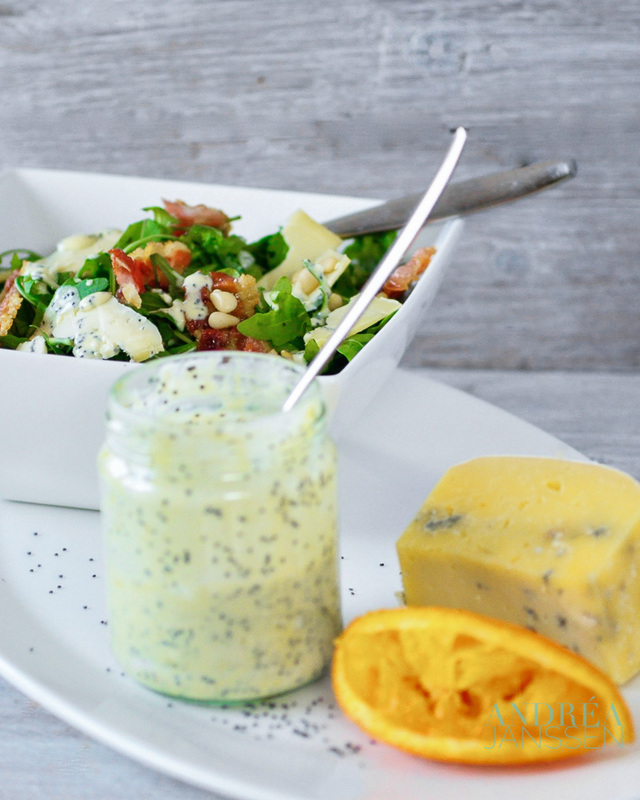 This month the challenge was to make a delicious, homemade dressing. I always make my own dressings and vinaigrettes, but between what were well-known dressings for me, an unfamiliar popped up with unique ingredients. Ingredients that I wouldn’t come up in my mind when I think of a dressing, for example poppy seeds. Whisk all the ingredients until homogenous. Fry the pancetta in a frying pan. Wash the rocket and make sure it is dry. Put the arugula in a bowl and mix the dressing with the salad. Crumble the pancetta over the lettuce and add the pine nuts. 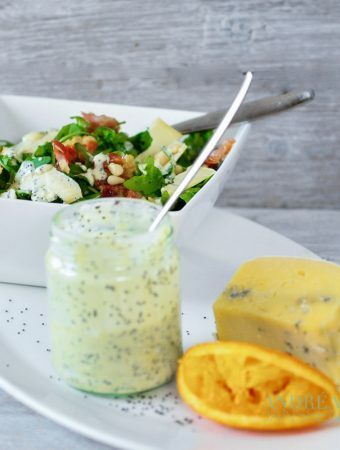 Shave the Delft Blue cheese into thin slices over the salad and serve immediately!